Perhaps it is the close-up on the eyeball in the shadows. Piercing. Constant. Terrifying. Or maybe it is the SCREAM that stops a silent movie, separating the audience into steady streams of shock as a motion picture stops its own rollout to pay tribute – with a wink and a nudge – of where the medium has been in the recent past. Or maybe it is the creaking and EXCELLENT gothic house, one full of tall shadows and long memories, where much of the movie takes place. Whatever the reason for the sheer excellence of The Spiral Staircase, there are a lot of FIRSTS running up and down it. The Spiral Staircase is visually important in how its tone is created and reinforced. For any future filmmaker, it is worthy of more than another look from a modern audience. Those fierce details don’t go unnoticed in Kino Lorber’s outstanding 4K remaster of The Spiral Staircase. The film, as the original fine grain print was used, looks wholly brand new again with deep and disturbing shadows. The absolute fear on display throughout this feature – beginning with a terrifying walk home in the rain for the mute Helen (charmingly played by Dorothy McGuire) – is all-consuming. You will urge Helen to pick up her pace sooner than she actually does as she beats against the fence with a stick in order to dispel the quiet around her. Scenes like this one might just stress you out; they certainly got my teeth to chatter. AND JUST WHO IS THAT HIDING BEHIND THE TREE?!?!? MY GOD! RUN, HELEN, RUN! 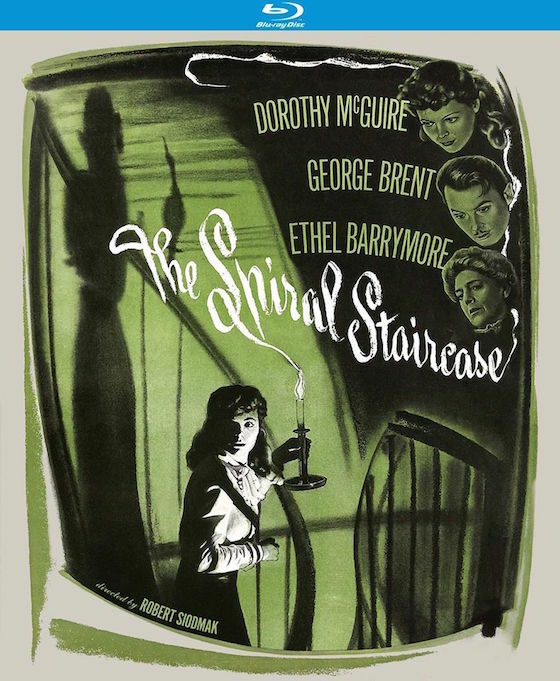 The Spiral Staircase is also one of the first flicks to pummel its audience with a barrage of clever POV perspectives as Helen is targeted as the next victim for a serial killer stalking handicapped women in one small town. Surely, one New England town will never be the same again after these haunting events. Directed by Robert Siodmak (The Killers) and photographed by Nicholas Musuraca (Out of the Past), this crisp black-and-white film is a work of atmospheric art. Almost every scene creaks with purposeful slow burn swagger. Soak in those details. Thrillers rarely get this damn perfect in style and execution. This is murder by numbers. As Sting sang, "easy to learn as your ABC's" except here, in the hands of this filmmaking team, that murder is an ART. And you will feel its consequences, too. The Spiral Staircase is visually important in how its tone is created and reinforced. For any future filmmaker, it is worthy of more than another look from a modern audience. It should be studied. 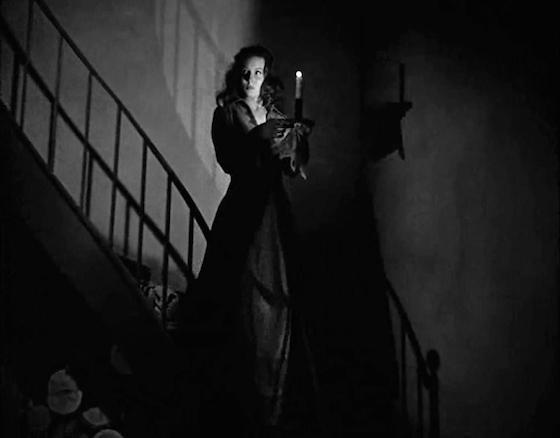 Most notably, it is the prototype for future psychological thrillers as it successfully presents audiences with the FINAL GIRL, especially in how it handles Helen’s fortitude in response to its suffocating terror gathering around her. 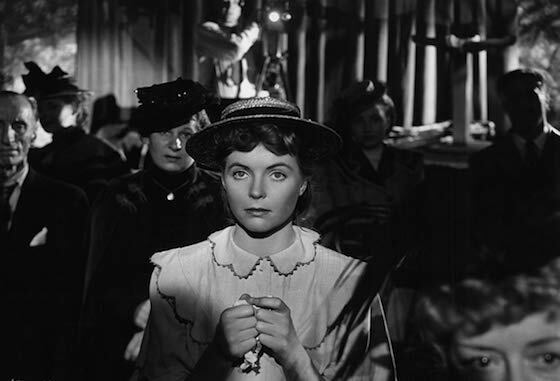 The film, also starring Dorothy McGuire, George Brent, and Ethel Barrymore as Mrs. Warren, the bedridden mistress whom Helen takes care of, is also noteworthy for its rich visuals as it deftly mixes two genres, film noir and horror, into a paranoia-inducing trip through a murder mystery where ANYONE could be the murderer. Descend into fear itself and climb The Spiral Staircase. Tagline: Conflicts that freeze your emotions! Suspense that takes your breath! Memorable Movie Quote: "The only thing that keeps me from cracking you in the jaw is the almost certain possibility that it would break your neck." Synopsis: A murderer is targeting disabled young women in a New England town, and Helen (Dorothy McGuire, Gentleman’s Agreement), a mute servant in a Gothic mansion, is terrified she's next. Mrs. Warren (Ethel Barrymore, Deadline – U.S.A.), the invalid, bullying mistress of the house, warns Helen to leave at once, rather than rely on her weak son and stepson for protection. But even as Helen is packing her things, she suspects she may be too late and the murderer is closer than she ever imagined. The Spiral Staircase is issued on blu-ray thanks to Kino Lorber’s stunning new 4K transfer. 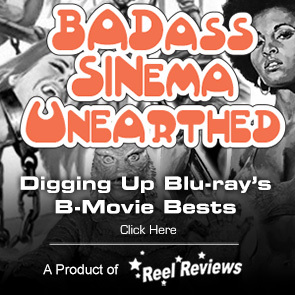 The handling of this proto horror title does not disappoint thanks to breathtaking black and white imagery, unique angles, and a steady pace. The gray and white skin tones are well-saturated and shadows are strong. There is a nice grain to the look of the film and textures in the house are more than perceptible. The 1.0 DTS-HD MA sound mix keeps us in the picture with mood effects and clean dialogue. There are two featurettes included here.